"Protecting our Community through Excellence in Service." Welcome to the City of Virginia Fire Department. We hope this website will help you get a better acquainted with your Fire & Ambulance Department, and allow you to do business with us in a more efficient and convenient manner. 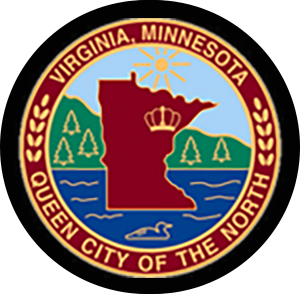 Our department is dedicated to the health and safety of our community and will continue to strive to maintain and improve this wonderful area we all call home. 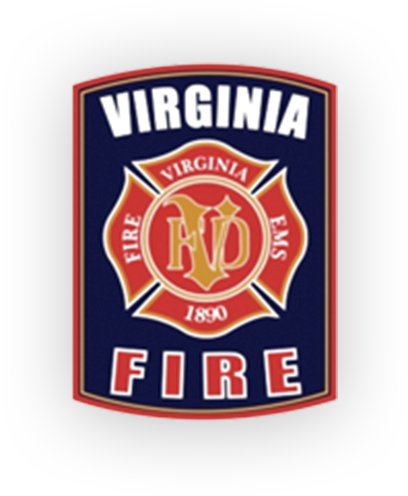 The Virginia Fire Department currently has positions for 32 sworn full time Firefighter/Paramedics, 8 EMT's, an Administrative/IT Assistant, Training Division Chief, Fire Marshal, Deputy Fire Chief, and a Fire Chief. There are currently seventeen fire and EMS related apparatus ready to respond anywhere in our service area. Mutual aid agreements are in place so that we are able to help our neighboring communities in their time of need. Our fire service area and locations include residential, commercial, light and heavy industrial, county, mining properties, city and state road ways. We also provide contracted fire service to two local mining operations. Department personnel participate in the St. Louis County Sheriff's Emergency Response Team and are trained in rope rescue, confined space, hazardous materials management, water and ice rescue. The Virginia Fire Department has five state licensed Advanced Life Support ambulances equipped with state of the art medical equipment which provides our community the care it deserves. Under the guidance of our medical director we participate in cutting edge medical research studies and are licensed with the Minnesota Health Emergency Medical Services Regulatory Board (EMSRB) to provide Advanced Life Support to over 650 square miles in northern Minnesota. Our ambulances not only respond to 911 emergency calls in our primary service area, but we also provide emergent and scheduled inter facility transfers at the Basic Life Support, Advanced Life Support, and critical care levels. In 2018 our staff responded to 3762 Medical and 623 Fire calls.